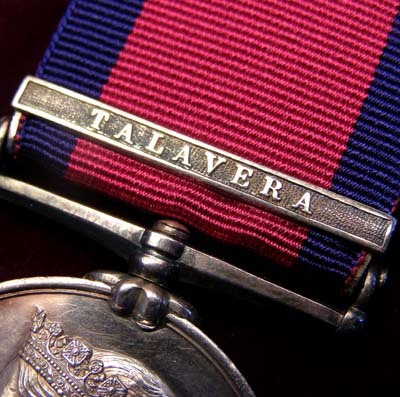 The auctioneers explained that a Military General Service (MGS) medal with a Talavera clasp had been brought to them for auction. It turned out to be one of Private Tongue’s missing medals! Both Spink & Son and the seller were happy to return it to us. 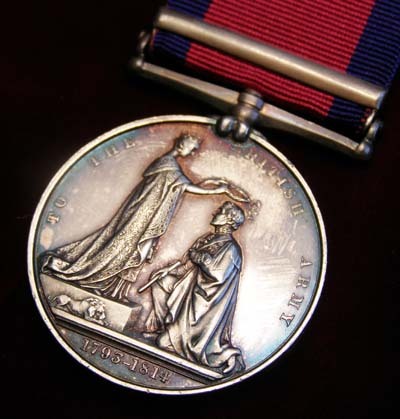 Sadly, there was no trace of the Waterloo medal he’d also received. Joshua Tongue was born in Salford, Manchester in about 1790. He joined the army in 1808, enlisting into the 23rd Light Dragoons, before taking part in the charge at Talavera, near Madrid, a year later. 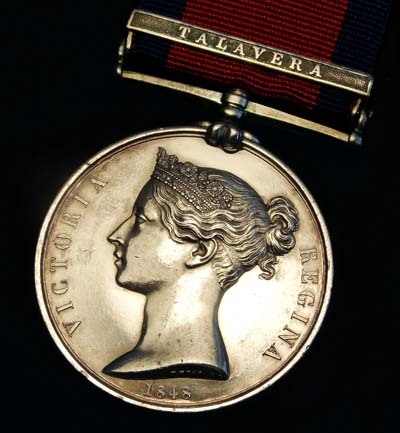 On the second day of the battle of Talavera, Private Tongue’s regiment and the King’s German Legion Hussars were ordered to advance against the French infantry. But nobody had noticed the dry ditch just in front of the French position. Approaching the enemy at full gallop, some horses stalled, others tried to jump and many riders were thrown from their steeds. About half the regiment – 207 men – lost their lives. Tongue survived, and went on to serve at Waterloo. After Napoleon’s defeat, Private Tongue’s regiment was disbanded and he was discharged. He was admitted to the Royal Hospital when he was just 29 years old! Records show he had an old sabre wound on his back. He lived here for the next 31 years and died in January 1850. 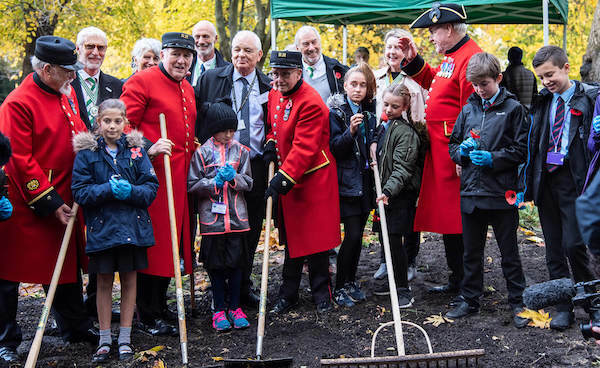 Like many other Pensioners, no headstone marks his grave in the old burial ground. 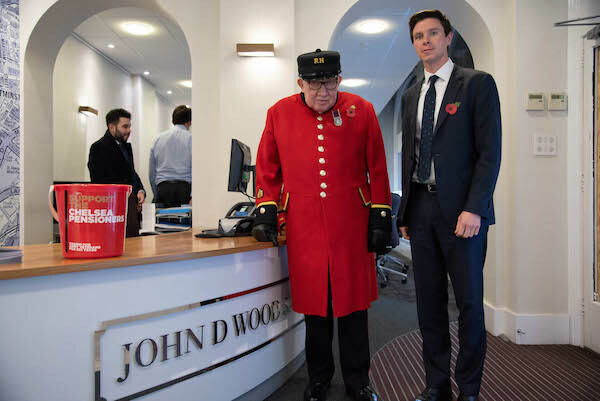 On January 10th this year, Jack West-Sherring of Spink & Son returned Private Tongue’s medal to Heritage Manager John Rochester, at the Royal Hospital. It now rests in its rightful place in the museum’s medal display.